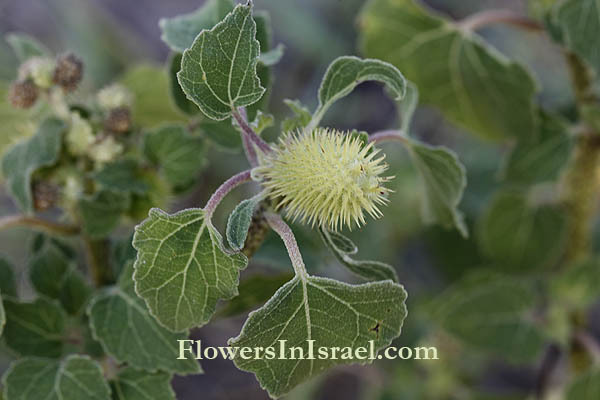 Hebrew: לְכִיד הַנְּחָלִים, Arabic: اللزيق السلعي, Egypt: شبكه "Shabka"
Scientific name: Xanthium strumarium L.
Synonym name: Xanthium occidentale Bertol.Xanthium pungens Wallr. strumarium, Struma, "cushion-like swelling or tumour"; of or pertaining to tumors or ulcers; rough. The standard author abbreviation Bertol. 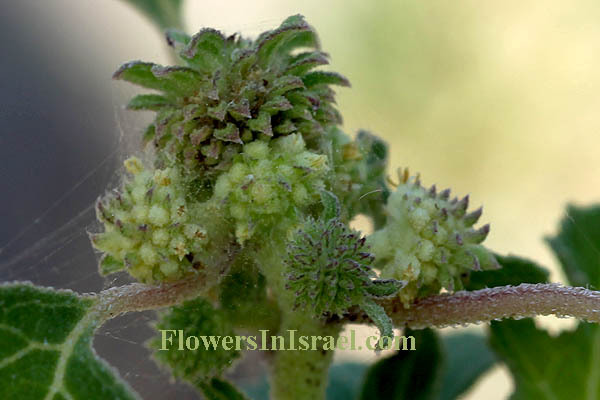 is used to indicate Antonio Bertoloni (1775 – 1869), an Italian botanist. The standard author abbreviation Wallr. is used to indicate Karl Friedrich Wilhelm Wallroth (1792 – 1857), a German botanist. The standard author abbreviation Moretti is used to indicate Giuseppi L. Moretti (1782 – 1853), an Italian botanist. 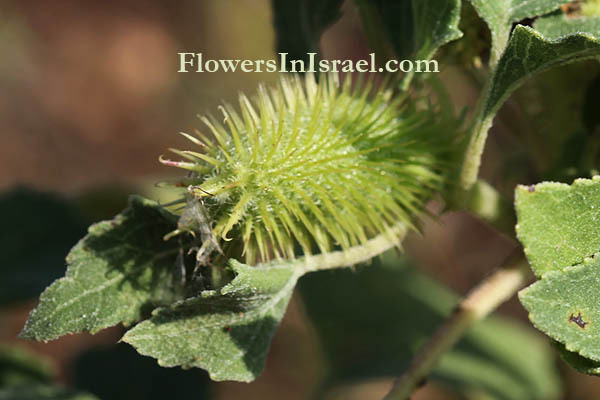 The fruiting head, densely covered by hooked spines, is 15-20 mm long. 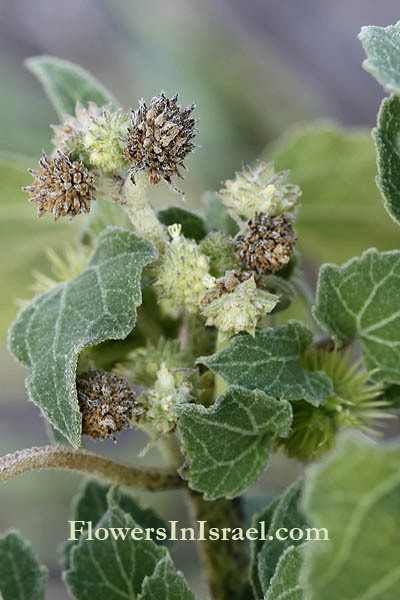 According to some authorities, the Cocklebur is perhaps the most annoying and painfully prickly, and for that reason, the most logical plant for the Hosea reference.